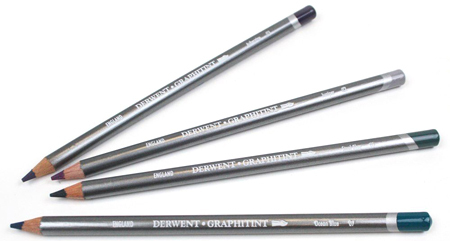 Graphitint pencils combine the creativity of a graphite pencil with a hint of soft, subtle color. Used dry, Graphitint offers soft color hues; add water and the color becomes more vibrant. Color tints range from soft grays, blues and greens to glowing russets, plums and browns.